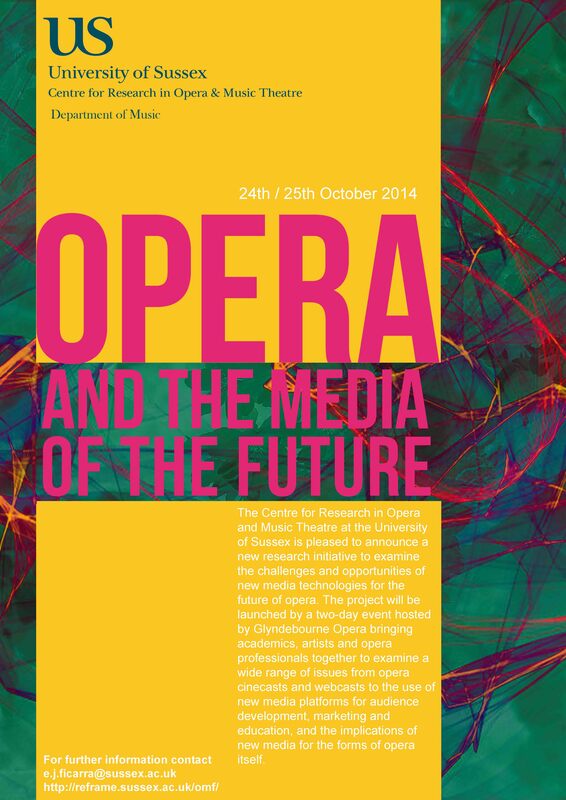 Professor Nick Till, Director of the Centre for Research in Opera and Music Theatre at the University of Sussex. Presentation / demonstration of the commissions, followed by discussion lead by Evelyn Ficarra Assistant Director of the Centre for Research in Opera and Music Theatre. Who is the author of digital opera, does digital world envisage less individual agency for the composer? Who will produce these works, opera companies or media companies? 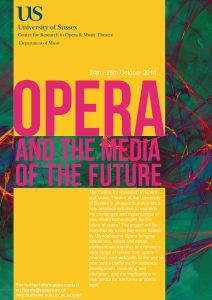 4 or 5 groups to discuss strategies and partnerships for specific areas of research development in relation to opera and new media. Audience development – traditional vs new audiences? Chair Sally Jane Norman Professor of Performance Technologies, University of Sussex will lead discussion / audience questions.